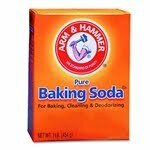 Cleaning is another big use for Arm and Hammer Baking Soda, and most businesses will have plenty of options for using it in cleaning applications. It's especially useful for cleaning aluminum and silver when made into a paste, and surfaces like those around a kitchen's industrial dishwasher will often need to be periodically cleaned with a solution made from baking soda. But there's still one more reason it's worth having a supply of baking soda on hand – odors. The odor absorbing nature of the powder makes it perfect for keeping around in an open container to help reduce odors. Many homes have an open box of baking soda in the fridge, and plenty of businesses keep a few boxes in their coolers or other locations to help absorb odors and keep things smelling fresh. There are plenty more uses for Arm and Hammer Baking Soda, but these three are the main reasons that businesses will want to think about keeping some of it on hand at all times. It's good for so many things that it's one investment you won't want to ignore. Chances are you've got some in your home already, so don't forget your business as well.